The AW- E skip lift range of portable waste compactors use the Husmann proven pendulum ram design and leak proof charge box making it ideal for both dry and wet waste applications. Its compact dimensions make it suitable for sites with limited space and ensures clean and hygienic maintenance of the compactor area while considerably reducing costs on transport and labour. 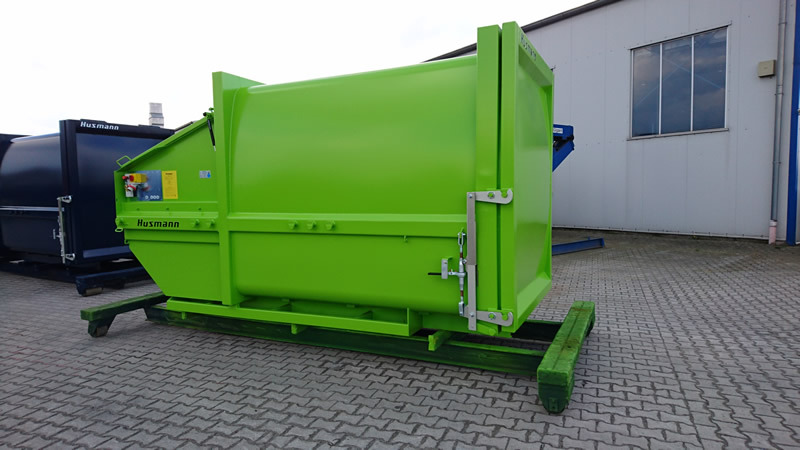 Can be supplied with a hydraulic bin tipper for the lifting and emptying of a full range of wheeled bins.